The Third World War has been ended by the efforts of Kamijou Touma. With that, he vanished. With the Magic Side regrouping, the Sabbath for their followers has arrived. In the headquarters of the Science Side, Academy City’s strongest Level 5 Esper Accelerator has washed his hands off the “Darkness.” Along with Last Order and Misaka Worst, his days pass by peacefully with no sign of GROUP. Hamazura Shiage has formed a new ITEM with Kinuhata, Takitsubo and Mugino. Peace has come to the hands of the alumni who have “graduated” from Academy’s Dark Side at last… at least until a new evil “first year student” appears before them. For people who have read the first series, this takes everything that made it good and turns it to 11. 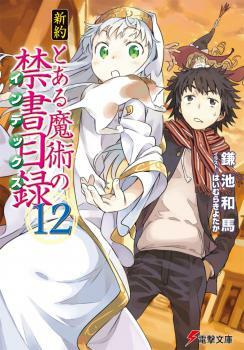 The only thing that would MAYBE turn people compared to the prequel would be the focus on kamijou throughout or other people for a novel instead or the triple protagonist we had by the end of to aru majutsu no index. That’s not to say they’ve disappeared they are here and are busy dealing with their own stuff but are still in the plot. This has hands down the best MC... more>> character development I’ve seen where he forced to confront everything about his ideals. This series follows from the events from the first series and we are dealing with factions fully getting the spotlight both the magic and science side as the first series was focused on the Christianity towards the end this time we are dealing with Norse magic. If you loved to aru no majestu no index. Read this series.